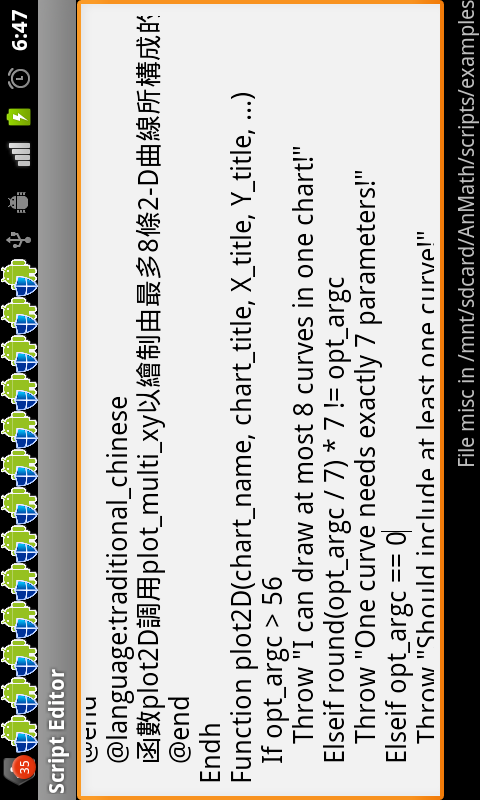 Scientific Calculator ++ is a powerful tool for Android 2.1 and above to do mathematic analysis similar to Matlab. 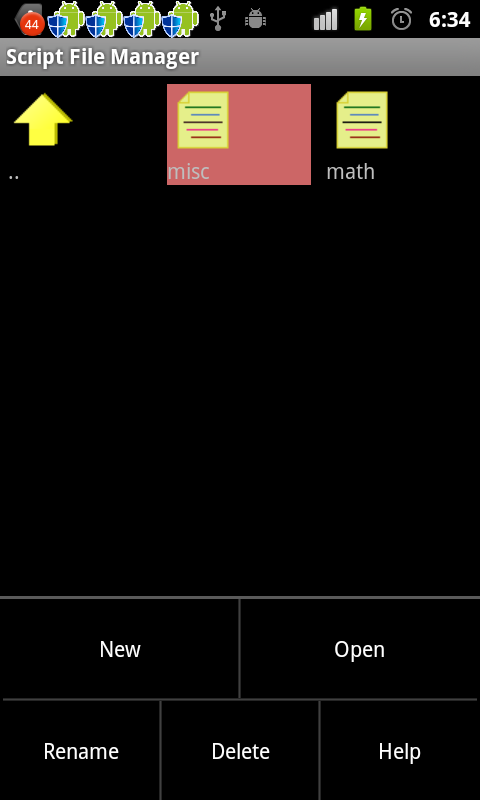 It supports 1. complex number; 2. array (matrix); 3. 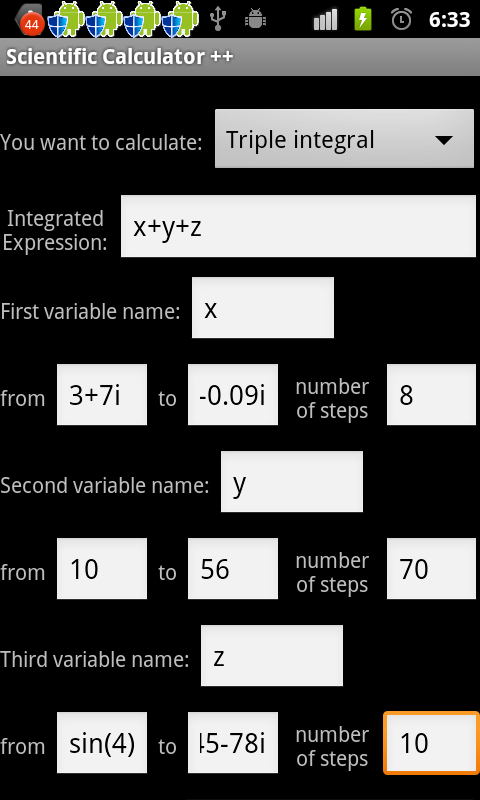 (higher level) integration; 4. chart plotting; 5. string and 6. programming (using a language similar to Basic and Matlab) besides the basic calculations supported by most calculator apps. 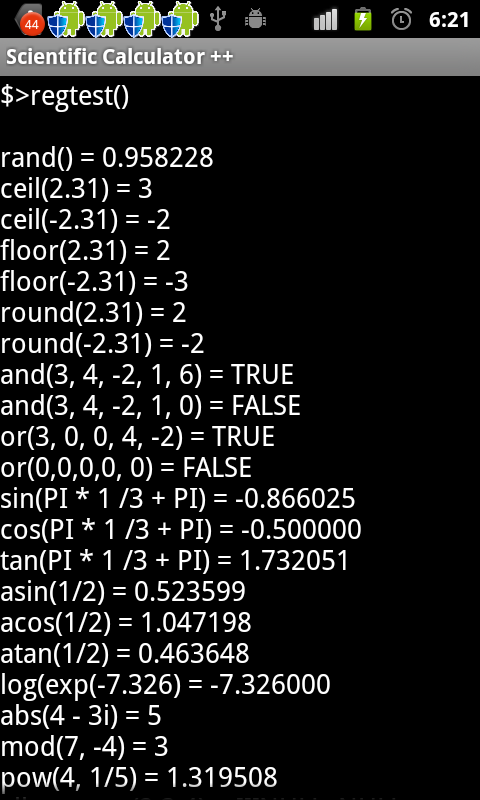 It supports both Android phones and tablets. 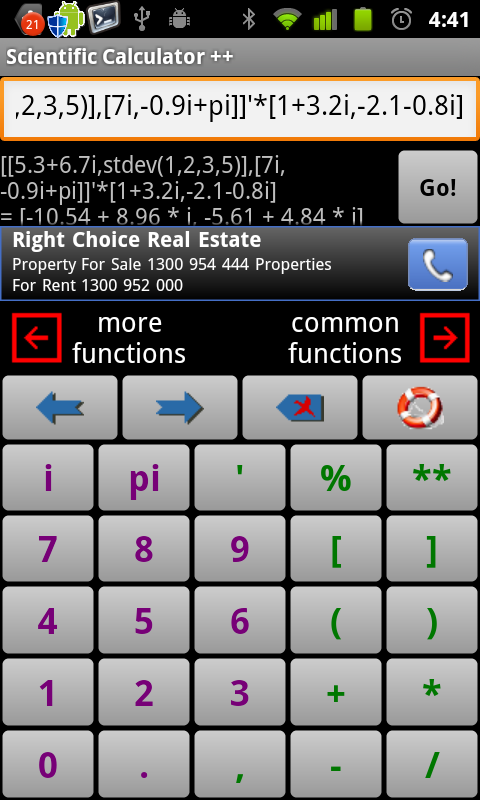 The calculator is actually a user interface of an easy-to-use programming language called MFP. 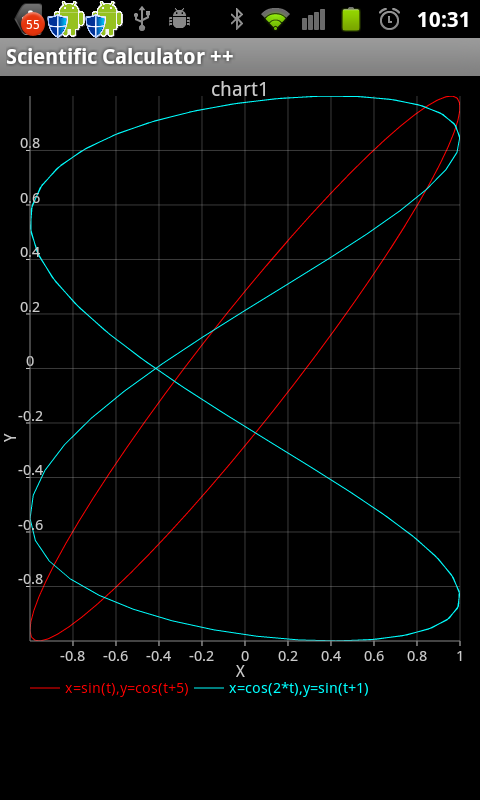 As such, users can develop their own functions using this tool by a PC editor, store them in mobile SD-card and use them later on. As a programmable tool, it can do everything.